Jayne Kamin-Oncea/Getty ImagesAdam Silver has been working on a plan for quite some time to end the one-and-done rule. The NBA has been working for a while on a way to allow players to not only skip college, but to work with young players and help prepare them for life in the pros. This is an issue that has taken on new importance with a major college basketball scandal breaking out, and a new plan could be presented within months. The league was at one point considering setting up European-style development academies, but that idea has been scrapped. Expanding the developmental G League is an option. With college basketball in the midst of a massive scandal over illegal payments, the NBA looks ready to take steps to end the one-and-done rule and allow elite prospects to skip college, according to ESPN writer Brian Windhorst. Windhorst writes that Silver has been gathering information about how to fix the one-and-done rule for months, but this most recent scandal in college basketball has given the issue renewed urgency. Silver could present a plan as early as within the next few months, per Windhorst. 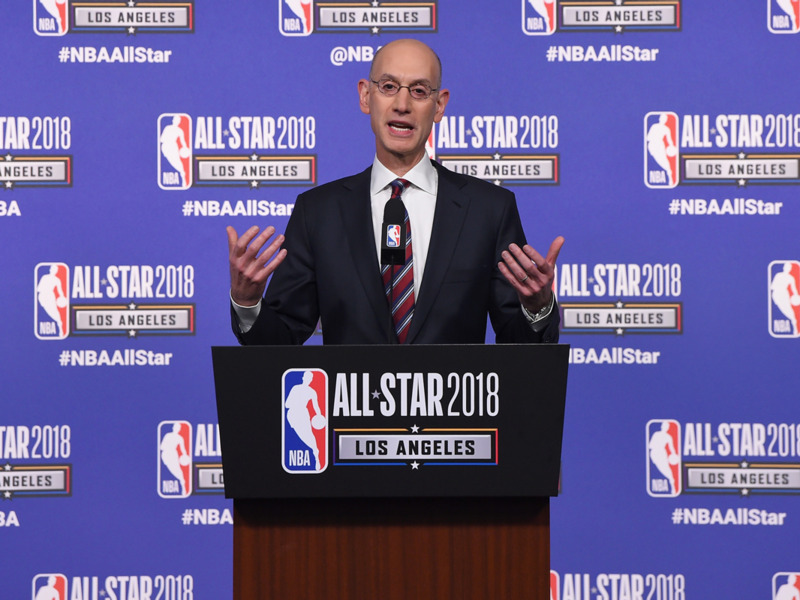 The league aims to develop a plan which will go beyond simply allowing top prospects to enter the NBA at age 18, but to actually get involved with players in the high school years and help them develop into NBA-ready players. At one point the league had seriously considered letting teams set up their own academies for developing young prospects, like how European soccer clubs develop players, but ultimately decided against that idea. Expanding the G League and making it a more lucrative option for young players, an idea touted by LeBron James, who is also a vice president of the player’s union, is also a possibility Windhorst mentions. Ultimately, it appears the league is serious about giving elite prospects an opportunity outside of college basketball, while working to ensure that they are physically and emotionally mature enough for pro basketball before starting their careers.